Wellspring is negotiating with the Springfield Redevelopment Authority to build the greenhouse on a 1.7-acre site in the Indian Orchard neighborhood.
" I think it would be an exciting project for the community to move forward with bringing fresh produce to the food deserts of Springfield," said Rose. In addition to announcing the purchasing partners at a news conference Wednesday, Wellspring also introduced its newly hired greenhouse manager and announced the issuance of a public offering to raise small investments for the project.
" We want people to know that if they want to support this project they can get in touch with us and help with some small financing," said Rose. He said constructing and equipping the greenhouse, which would have five workers, will cost an estimated $900,000. 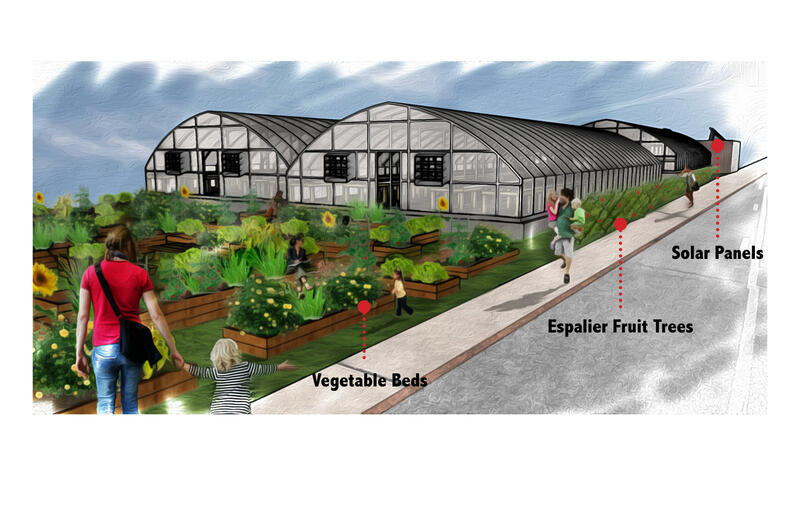 Nancy Robinson, Director of Patient Relations and Guest Services for Baystate Health, said purchasing from the proposed greenhouse would satisfy the twin goals of providing patients with more nutritious food and doing more local purchasing.
" So for us this was just a perfect situation and a great win for all sides," she said. Baystate Health buys about $1.5 million worth of produce annually with 40 percent coming from local farms. But in the wintertime the amount of locally purchased produce falls to 20 percent, according to Robinson. The Wellspring greenhouse would be a year-round supplier. The availability of local produce throughout the year appeals to Timothy Gray, the food service manager for the Springfield Public Schools.
" This is extremely important for us to supply our students with fresh vegetables and produce form a local source right here in the city," said Gray. Wellspring said others that have agreed to purchase from the greenhouse include River Valley Co-op in Northampton, Franklin Community Co-op, Squash Trucking, Friends of the Homeless, and the Worcester Public Schools. The greenhouse would be the second worker cooperative developed by Wellspring. A furniture upholstery business opened three years ago in Springfield’s South End neighborhood. It has six workers. Customers include Baystate Health and the University of Massachusetts. A community partnership is promoting an old business model – the worker- owned cooperative – as a way to revitalize the poorest neighborhoods of Springfield, Massachusetts. An upholstery shop on the third floor of a century old factory building in Springfield’s South End neighborhood is the first business venture launched by the Wellspring collaborative. Formed in 2011 it is a unique partnership of large local employers such as hospitals and universities, community groups, labor organizations, nonprofits and government agencies. In what is believed to be a first for a school district in Massachusetts, the Springfield School Department is going to build its own food services center. It will be a centralized warehouse and production facility to support a growing meals program in the state’s second largest public school system. 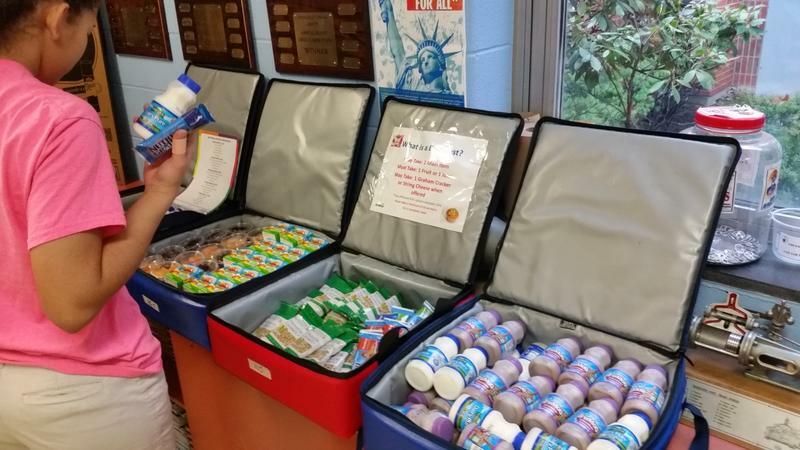 The federal official in charge of national nutrition programs was in Springfield, Massachusetts Friday to see a unique effort that has dramatically increased the number of children who start the school day with a nutritious breakfast. When 2,000 students stream through the doors of Central High School every morning just after 7, breakfast is waiting for them – right in their first period homeroom. The largest health care company in western Massachusetts has launched a new research and development center focused on technology. 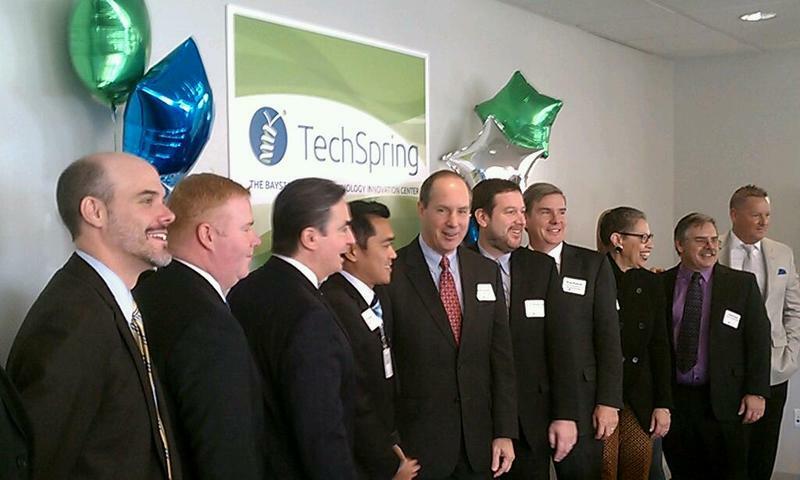 Baystate Health has opened an innovation center in downtown Springfield that brings together established companies such as IBM and Dell and start-ups to work with the hospital on creating new technology and products to improve health care.